Maddie Diaz never should have taken that shortcut through the park. If she hadn’t, she wouldn’t have seen two gang members attacking a homeless man. Now, as the only witness, Maddie knows there’s a target on her back. But her courage has also caught the attention of Lobo, the mysterious leader of a rival gang, who promises to protect her. Lobo might be out for his own revenge, but Maddie knows she can trust him. And even though Lobo tries to push her away, she is determined to find out the truth about him. As sparks fly between them, Maddie is drawn deeper into his dangerous world…until there’s no turning back. When you live on the edge, any moment could be your last. Stay tuned for news on what's next! RUN THE RISK COVER is here! It hits the shelves on April 11, 2017. Pre-order now! There's going to be a THIRD book in the ON THE EDGE series. Look out for RUN THE RISK in early 2017! 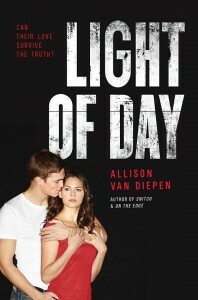 LIGHT OF DAY is in stores now! The next installment of the ON THE EDGE series, LIGHT OF DAY, is out! Make sure to check out my Facebook page for all the latest updates! Great reviews of ON THE EDGE! It's a USA Today HEA Must-Read Romance, and Kirkus Reviews says it's "Ideal for readers who prefer a high romance–to–thrills ratio.” Hope you enjoy it! You wanted to know what happened to Eric and Julia. You'll have your answer in ON THE EDGE, coming out in November! "A compelling story of innocence lost but pure humanity found...BRAVO!" 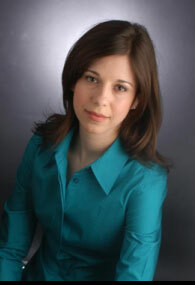 Sign up for news on Allison's newest books, sneak previews, and more!